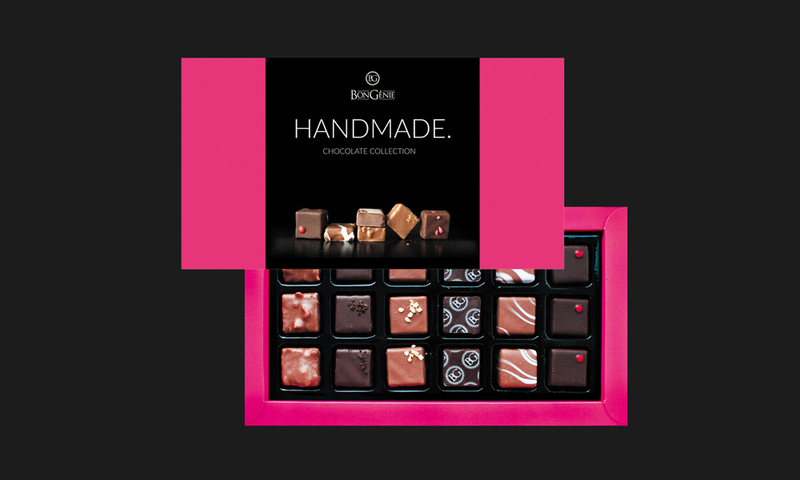 BonGenie presents a refined and multifaceted collection of handmade chocolates. This assortment of six exclusive fillings from the selected ingredients: rich dark chocolate from Ecuador, tender milk chocolate from Venezuela, white Italian chocolate, Brazilian coffee and fruits. Do you want to make dreams of the distant Caribbean islands and romantic evenings on the ocean true? Or please yourself with classic combinations in jewelry proportions? Candy BonGenie HANDMADE will awaken your imagination and delight you!